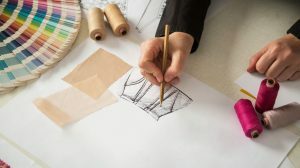 The first step on this fascinating career journey is typically an employment with one of the clothes/shoes/accessories manufactures, wholesalers or design firms. And though entry level fashion designers earn less than $40,000 a year, it is by no means easy to get this job. For one reason: competition. Many people have a degree from fashion design. The supply exceeds the demand. In many cases you will compete with five or even with ten people for the job, and that’s exactly what makes it so difficult to succeed. 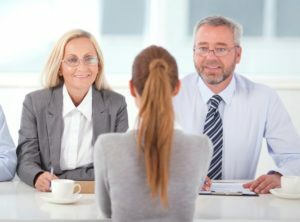 Understanding what matters in this interview, and how to answer the questions of the hiring managers, will help you to stand out and perhaps sign your first job contract. Let’s have a look at it together. Why do you want to work as a fashion designer? Why do you want to design clothes with us, and not with one of our competitors? What computer programs are you using in your work? Describe a time when you struggled with motivation in job. How did you overcome the crisis? Nothing tells as much about the abilities of the designer as their portfolio. It is absolutely crucial to put together your best works before the interview. You can bring just the designs, if you weren’t lucky enough to turn them to the final products yet. 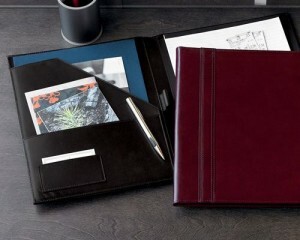 But you can also bring the final products you designed, that is even better. What is more, you can actually wear them! Of course not every single pair of shoes you designed–three or four best pieces will be enough for the interview. The situation doesn’t change if you have never been employed before, and designed fashion only for yourself. Even in this case you should create a portfolio of your best works, and show it in the interview. Do not be afraid to include your most creative works, even when they received no positive criticism before. The key is to show the hiring managers that you can bring new ideas onboard, that you are not bound with trends and prejudice, and do not mind designing original things. They will ask you mostly basic questions, trying to learn more about your skills, motivation, experience, goals, and personality. They may add a few behavioral questions to the mix, just to see whether you can deal with conflict, pressure, tight deadlines, and other challenges employees face in each design company. Let’s have a look at the most common questions. Tell them that you enjoy designing fashion, and that you believe to have all skills and abilities to become a great designer one day. Show your passion for the work. You can even tell them a story, narrating how certain designers influenced you, and how your experience with them (or with their designs) motivated you to pursue a career of a fashion designer. Or perhaps you want to become another Armani, and put a dent to the Universe. If you do, feel free to talk about your dream! This is a tricky question. Vacancies for fashion designers are rare, and graduates typically do not care about the name of their employer. They just want to land their first job in fashion design. You can bet on candidness, saying that you applied with them because they were the only company in the city advertising a job for fashion designers. Nevertheless, better option lies in referring to something that resonates with you, such as their design lines, their core values, how they produce the final products (perhaps paying fair wages to the seamstresses back in Asia), etc. Do your homework. Learn something about the company. It will help you greatly in the interview, not only when you will be answering this particular question. Good designers have to watch the trends, read magazines, and follow the news from the promenades. This is the only way how to design things that will eventually sell. Speak about the latest trends, and ensure the interviewers that you do your best to stay in the picture. List the names of designers you follow, magazines you read, and mention other things you do while trying to stay with the trends (or even ahead of them). The best designers are artists, not programmers. They will often draw or sketch their designs, and opt to use the computer only when there’s no other way around. In any case, list the programs you can work with. What is more, you should ensure the hiring managers that you are ready to learn to work with a new one, if they happen to use a different software in their company. In an ideal world, there wouldn’t be any pressure on the fashion designer. You would design things at your own pace, and enjoy the beauty of this job. But we do not live in an ideal world. Deadlines exist in every industry and fashion design is no exception. Tell the hiring managers about a case when you faced a deadline, or a time when the workload was heavy. Explain how you managed to prioritize your work, and how you pushed harder, working overtime or even working from home, to meet the deadlines and deliver your work in time. If this is your very first job application, you can simply say what you would do, if you faced pressure in your work. Even people who truly love what they do struggle with motivation. The job is repetitive, they do not feel recognized for the work they deliver, or they experience some issues in their personal life, and struggle with motivation becasue of these issues. This is just natural and nothing we should be ashamed of. On the contrary. Good employees are ready to admit that they are struggling, becasue admitting it is a first step towards remedy. This is our latest collection. Which piece of work do you like the most? Which one don’t you like? Which one of your designs do you consider the best, and why. Are you more of a team player, or do you prefer to work on the designs on your own? What do you consider your greatest weaknesses? How would your former colleagues / classmates describe you? The portfolio of your fashion designs– the better you make it and present it, and the more it relates to the designs the particular clothes manufacturer specializes in, the better your chances will be. Interview answers of the job applicants – the better you handle the questions, the more likely they will choose you, and not someone else. Luck factor– whether we like it or not, luck also plays the role in the interviews. Perhaps one of the candidates befriends the sister of the hiring manager, or another one happens to be exactly the type of a person the hiring manager likes. When it happens, it is simply bad luck for the other applicants. Nevertheless, you should focus on things you can control. Luck does not belong to them. Body language in an interview – What do your gestures and movements say about you? Can we control our non-verbal communication? This is a topic you should learn more about if you want to succeed.